I bought this for a Help For Heroes Fund Raiser, my friends set me the challenge of looking like Jessica Rabbit. The top isn't a true corset so I can't cinch it down like my others but it is a truly beautiful dress. 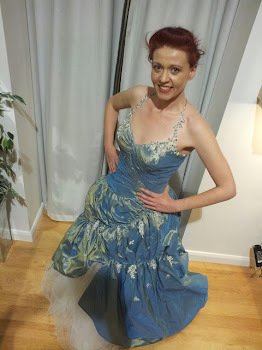 I love wearing ball gowns and beautiful dresses made from natural materials, this is raw silk which feels amazing against the skin, the train is a work of art. 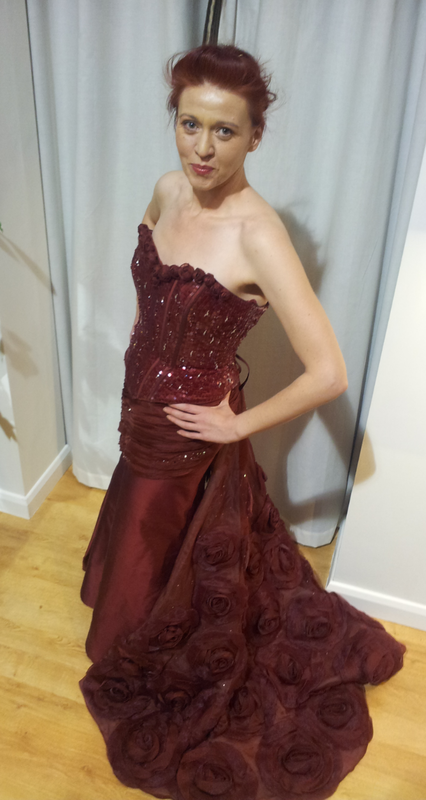 The roses are amazing, fortunately it is also detachable. All I need now is a Prince Charming to take me to the ball!